Obesity has long been known to increase a person’s risk for diabetes, heart disease, stroke—and, apropos to this season, complications from the flu, such as bronchitis, pneumonia and even death. Now: Researchers from University of Michigan have recently discovered that obesity—defined as a body mass index (BMI) of 30 or above—may play an important role in how the flu spreads from person to person. Study results: After monitoring nearly 1,800 people in 320 households for three flu seasons (2015 to 2017), the research team found that flu sufferers who were obese shed the influenza A flu virus 42% to 104% longer than people who weren’t obese. (Viral shedding is considered the time when a person may be contagious.) 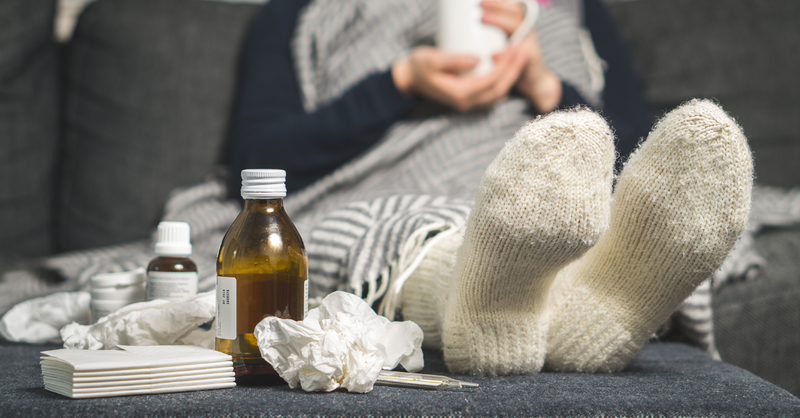 Interestingly, obese individuals with lab-confirmed flu who were only mildly ill or had no symptoms were the most likely to shed the virus, while the effect was less pronounced in those with two or more flu symptoms. Note: The nose and throat swabs used in the study detected flu virus RNA but did not indicate whether the virus was actually infectious. What this finding means: Researchers aren’t sure why obesity may extend viral shedding in people with the flu. They theorize, however, that chronic inflammation triggered by obesity may be at least partially to blame. If further research confirms that the virus shed for longer periods is, in fact, infectious, efforts to reduce the number of people who are obese may also help minimize the spread of viral diseases. Bottom line: Because the flu is a life-threatening condition that claims the lives of tens of thousands of Americans each year, it’s crucial to do everything possible to protect yourself and your family from this serious illness. The CDC recommends annual flu vaccination (with rare exceptions) for everyone age six months and older. Even though the effectiveness of the vaccine varies from year to year, it generally decreases the duration of the flu if you do get sick and also decreases your risk for complications. Also: Wash your hands frequently with soap and water for at least 20 seconds and try to avoid contact with sick people. If you must be around people who could have the flu, consider wearing an inexpensive over-the-counter surgical mask. If you feel the symptoms of the flu coming on (fever, chills, body aches, cough, sore throat, runny or stuffy nose, headache and fatigue), ask your doctor about an antiviral medication, which can lessen symptoms, shorten the time you are sick by about one day and reduce risk for complications if taken within two days of becoming ill with flu symptoms. Meanwhile, further studies will be needed to confirm whether flu transmission risk increases along with obesity prevalence. Stay tuned as researchers discover more about this intriguing question.